Choosing a vacation spot that a large family will enjoy can be difficult. Some family members want to be active, while others prefer to go sight-seeing. Some crave delicious food, but others thirst for great beer. Our family is no different. 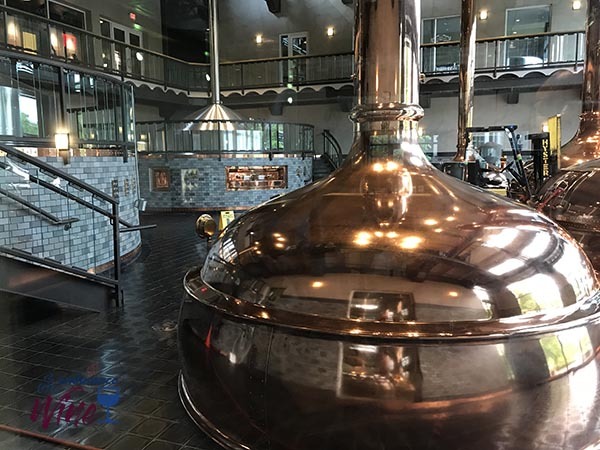 So when we started planning a vacation with our three kids plus a girlfriend, we wanted to find a place where we could be active, but also enjoy the sights and eat fabulous food—and a place with some great beer. We are cyclists, so we definitely wanted to vacation in a location where we could pick up some scenic rides. 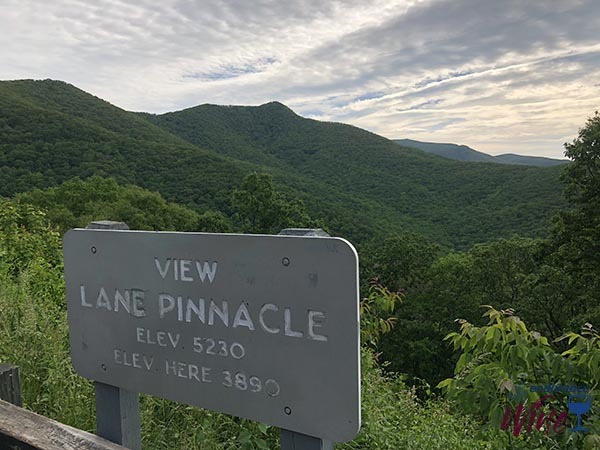 Asheville, North Carolina, which is nestled in the Blue Ridge Mountains, presented lots of options for remarkable rides, so we packed up our six bikes and headed down to Asheville. What we didn’t anticipate was that rain was going to be a big part of our trip. But that wet weather only gave us the opportunity to explore even more. Our goal was to bike up Mount Mitchell—maybe not all at once, but at least in stages. Coming from a flat state, we knew the gain would be a challenge, but that it would also be worth the work! On our first full day, we decided to do a little warm-up ride and we climbed 11.1 miles straight up the side of Mount Mitchell—and of course that meant going 11.1 miles pretty much straight down on the way back, too (with a total elevation gain of 2,119 feet). The mountain views were fantastic. We stopped at a few of the overlooks to take pictures and we only decided to turn around once we hit an elevation of 5,000 feet. The next day, with a few more additions to our group, we biked the same stretch, but added some additional miles to get to the Craggy Visitors Center (a total of 25.4 miles with 2,500-plus feet of gain). We had to take a few days off from biking due to the rain, but we did end up getting two more rides in, including one more trip up to the Craggy Visitors Center and then a super-fast ride down Town Mountain Road, for a total of 94.3 miles with 8,759 feet of gain, according to my Strava. Our goal was to bike and hike as much as possible, but the almost daily rain showers put a snag in our plans. Hiking in the rain is much easier than biking, but hiking while soaking wet gets old. We drove up to the top of Mount Mitchell a few times and attempted to tackle some of the hiking trails, only to hit tons of fog and a few downpours. On day four, we were able to hike almost three miles up Mount Mitchell in the rain (with an elevation gain of almost 600 feet). We visited Looking Glass Falls before our next hike. The falls were just amazing! Due to the large amount of rainfall, the water really poured over Looking Glass Rock. The falls are very accessible and don’t require a hike to reach them. Steps lead down to the base of the falls, where there are many wet and slippery rocks to climb on. It was well worth the trip! 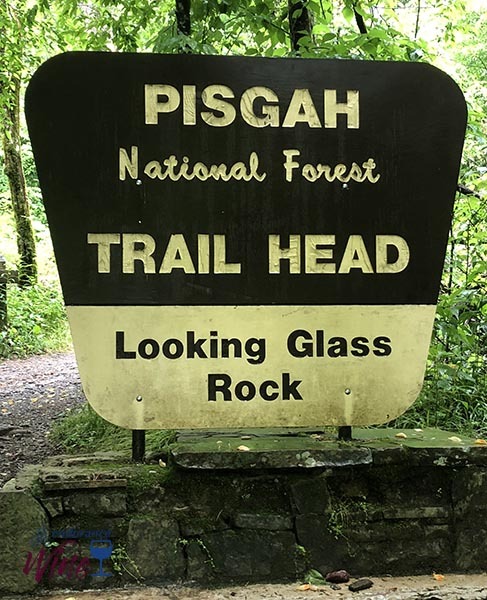 Our most successful hike came after our stop at Looking Glass Falls, where we tackled the Pisgah National Forest Trail. The hike was six miles round trip, with an elevation gain of 1,800 feet. 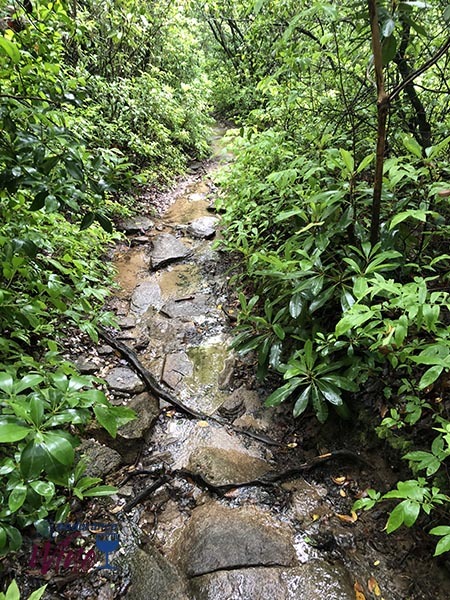 The trail was very challenging and was packed with many switchbacks, and because of the rain it sometimes felt like we were walking through a riverbed. We really tried to keep our feet dry, but that just wasn’t possible. Once we reached the summit we kept going on the trail, as all the guidebooks suggested, and when we hiked just a little bit farther we reached the Upper Looking Glass Cliffs. We were all speechless. The view of the Blue Ridge Mountains was breathtaking (but also a little nerve-racking with sharp drops over the cliffs!). The trip down was a bit quicker—but still challenging at parts. The food scene in Asheville is really incredible. Almost every restaurant says they have “Farm to Table” cuisine, and after sampling the fare, I have to say that I believe that. All the food we had was fresh and unique. 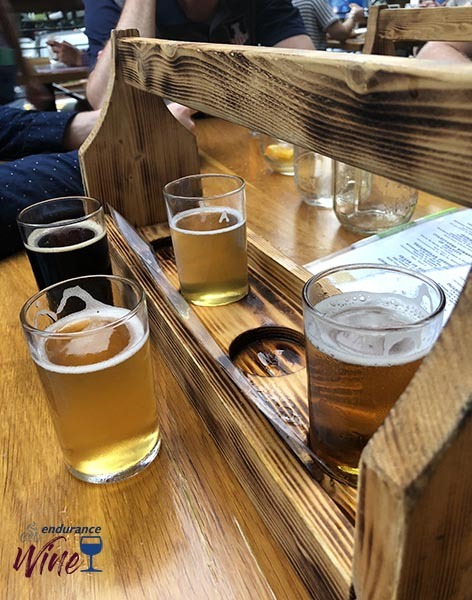 And finding places to eat was easy: We received a few recommendations before we traveled and also looked up the best restaurants in Asheville online, and so many great choices popped up. One member of our party was vegan, and after he checked out the menus we picked seven restaurants to visit. Just by chance, I started making reservations for these restaurants about two weeks before we headed off to Asheville, and thank goodness I did. Most places were booked solid a few of the nights—even on a Tuesday! We ended up making reservations at 7:00 or 7:30 p.m. each evening, which worked out great for us. Bartaco was one of our recommended restaurants. They don’t take reservations, but do allow you to call 30 minutes ahead to “get on the list.” We decided to hit Bartaco early in our trip and when we called we didn’t have to wait at all. The margaritas were just fantastic! At Bartaco, you basically order tacos à la carte—and boy did we order tacos. From Baja fish to roasted duck to portobello mushroom to carnitas, there was a taco for everyone. And each one was more flavorful than the last; it was hard to pick a favorite. We loved Bartaco so much that we stopped back for lunch the day before we headed home. This place is a must-try! We also hit three tapas restaurants in Asheville: Curate Zambra, and Rezaz. Curate was the one place that was recommended by almost everyone we asked, and it definitely met the hype. The menu had a variety of Spanish tapas. We let our server choose from the menu and he brought us a little bit of everything! Zambra and Rezaz were both delicious, too, but Curate was our favorite tapas restaurant. Our trip’s biggest restaurant time investment went to Sunny Point Café in West Asheville. We made the mistake of showing up around noon on the weekend and expected to find a table. Boy, were we wrong! We were told the wait would be an hour and 45 minutes. We had heard great things about Sunny’s so we put our name on the list and did some grocery shopping, filled the cars up with gas, and headed back, and still had to wait a bit. Thank goodness they have fantastic beverages that helped us wait! My favorite was the Bourbon Mule, but we had a few fans of the mimosa, too. Luckily, the food was worth the wait! We stuck to breakfast options, such as the oatmeal banana hotcakes and black bean and sweet potato empanadas. My dish had a deep-fried avocado that was just to die for! In addition, we ate at Early Girl Eatery, best known for southern-style comfort food; Limones Restaurant, which features Mexican and California cuisine; Tupelo Honey Café, with southern-style breakfast, lunch, and dinner; and Rhubarb, highlighting local ingredients prepared by James Beard Award winner chef John Fleer. 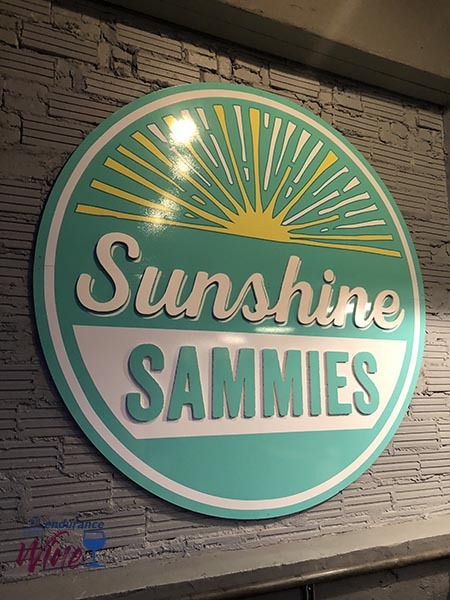 My Asheville food summary would not be complete without a mention of Sunshine Sammies. This bakeshop and creamery was our dessert favorite. Certain members of our group (and I won’t name names) visited Sammies almost every night! Sammies began with its owners peddling homemade ice cream sandwiches out of a pushcart, and now they have a brick and mortar location. Their ice cream sandwiches are made of homemade cookies and ice cream, and are almost two inches thick—and so delicious! All of these restaurants were fabulous, and we could have easily found a dozen or more other restaurants that were equally as memorable; the Asheville foodie scene is huge and filled with ingredients that are farm fresh and flavorful. A few months ago, we were in Bend, Oregon, where they insisted that they were the Beer Capital of the U.S. and had the most breweries per capita. But we had heard Asheville was a close second. 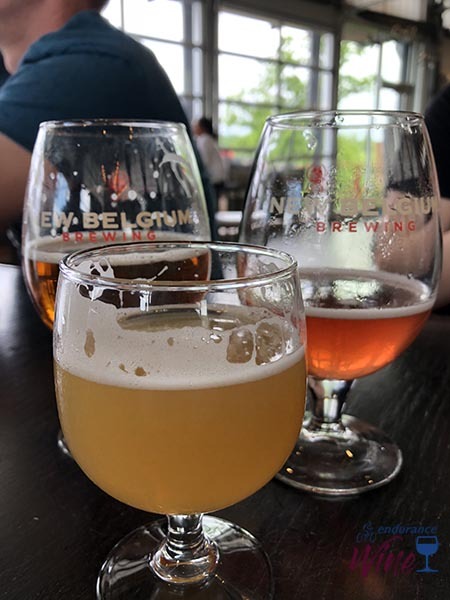 I’ll be honest: I have no idea how many breweries are in Asheville, but we asked a bunch of townies which brewery was their favorite and we got a different answer every time, so there are a lot of them. We hit 10 breweries and took two brewery tours and one distillery tour. We also had an eclectic group of beer drinkers with vastly different tastes, ranging from an IPA drinker to a newly 21-year-old to a non-beer drinker (me!) to an under-ager. But it all worked out, and we each found something we liked. 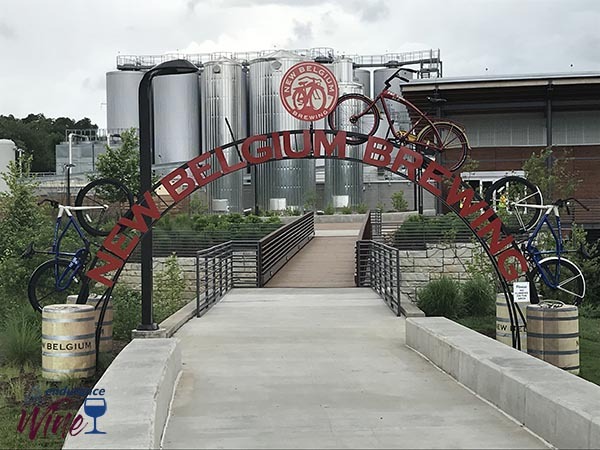 We took tours at Sierra Nevada Brewing Company and New Belgium Brewing, which is home to Fat Tire beer. Both tours were educational and interesting; we were able to see a good chunk of the brewing process, including testing and bottling. The group decided at the beginning of the week that we would also hit at least one distillery. We chose to visit the closest one to downtown: Asheville Distilling Company, better known as Troy & Sons. The Biltmore House, built by George W. Vanderbilt in 1895, is the largest private residence in the United States. It sits on the Biltmore Estate, which spans 8,000 acres. 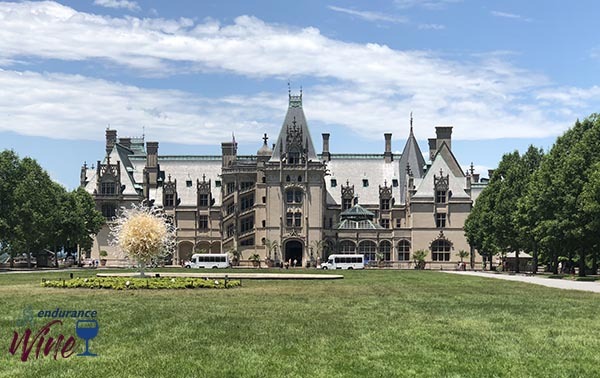 Every travel guide and website we read about Asheville listed the Biltmore as the number-one attraction and a must-see. Tickets were fairly expensive, so we planned to save this destination as a possible stop. I have to say I am glad I was talked into going. The estate was just unbelievable, with impressive views. We took a tour of the house, and probably saw only about a third of the rooms, but what we did tour was so interesting—from the 30 guest rooms to the indoor swimming pool to the library that held 11,000 volumes. After our tour of the main house, we headed to the expansive gardens, and then to the winery for a tasting. The wines were very reasonably priced and tasted okay. 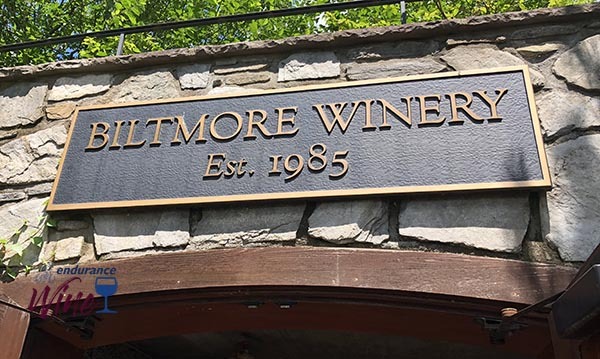 The whites, like the Biltmore Estate Limited Release Gewurztraminer, were crisp and clean. But the reds, like the Biltmore Estate Pinot Noir and the Biltmore Estate Cabernet Sauvignon, were just average. One activity that we booked well in advance of our trip was ziplining. 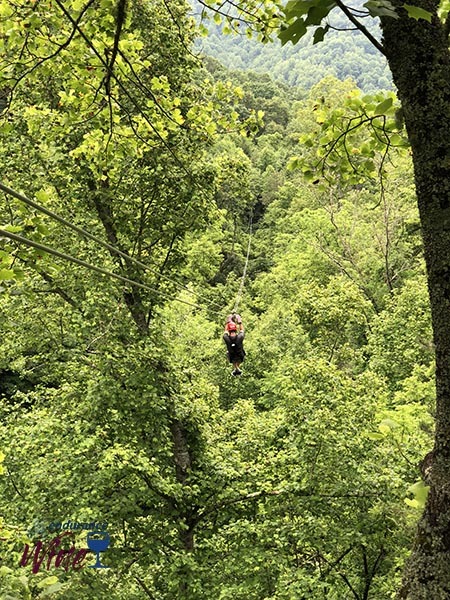 We chose the Ultimate Adventure Package from Navitat, which included going ziplining, crossing sky bridges, and rappelling through the Moody Cove in the morning, and then a mountaintop zipline adventure with long, high, fast ziplines through the wilderness in the afternoon. Each activity was truly spectacular. The longest zipline was 3,600 feet long and 350 feet above the ground. They said we would reach speeds of 60 mph, and I believe it! In addition to how fast and scenic the ziplines were, what surprised us was our zipline guides’ expertise. They were knowledgeable and shared their back forest experiences. They told us about plants and trees, and even got us to taste a few leaves and sticks—with very interesting results! 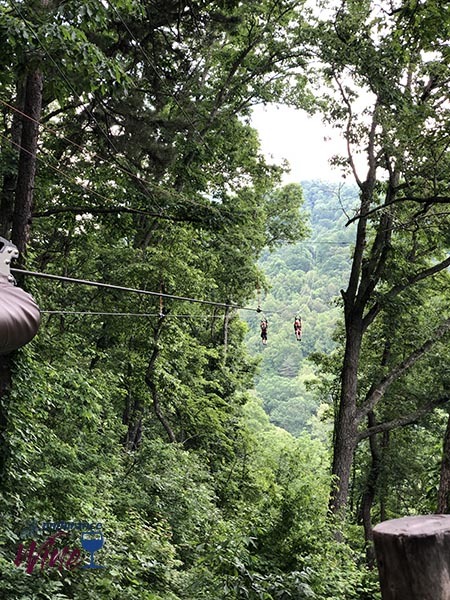 Their enthusiasm about the Blue Ridge Mountains and the nature in the area made ziplining a remarkable experience. Since a few of us are endurance athletes, we not only biked and hiked on this trip, but also got in an open-water swim in Lake Lure, along with a few runs. It was easier to run than to bike in the rain, but between the steep hills, the hydroplaning and sliding down hills, and the humidity, all our run times were slower than usual! I cannot end this post without mentioning our lodging. We opted for an Airbnb, due to the number of people in our group. We figured that staying in a house would allow us to relax, spread out, and eat breakfast (and maybe even lunch) at “home.” Our home was just over a mile from the heart of Asheville, close enough to walk downtown to most of the restaurants we chose. But because of the weather, we ended up taking Uber or Lyft most nights and never had an issue finding or waiting for a ride. Having a few extra rooms (especially bathrooms) was the way to go. The best part of our stay was the home’s beautiful covered back porch, where we all hung out and planned our days. Another huge plus was a washer and dryer, which allowed us to wash our biking clothes each day. 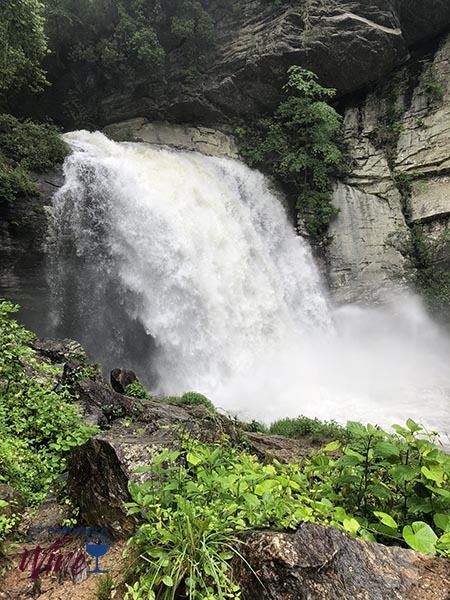 We headed to Asheville, North Carolina, for the biking, but left remembering the rain, the food, and the beer—as well as the fantastic views! Asheville is a great place to visit, offering something for everyone—perfect for our large group. We all just loved the trip, and we had trouble picking a favorite location, restaurant or brewery; there was just too much good stuff!! 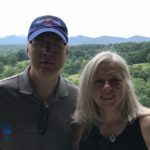 Cristi and her DH traveled to Asheville, NC in June 2018 with their family. She is an Endurance Athlete and a three-time Ironman finisher. Cristi blogs about her adventures and her favorite hobby, drinking wine, at EnduranceWine.com. She hopes to inspire her readers with her training experiences (with a little wine thrown in) so they can realize that anything is possible. Realize your dreams!